Boat Description Three other models complete this family of fishing boats. 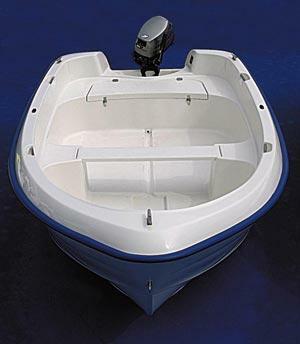 Tough and built to last, theyll take an outboard engine or are light enough for you to use a pair of oars. Depending on the model, theyll accommodate up to four people. All Fish boats come standard with oarlocks. A great way to start boating.